Lisa Dagostino, M.D., J.D., M.Be., LL.M., F.A.C.L.M., is a doctor and award-winning medical researcher who has earned dual degrees in law and bioethics from the University of Pennsylvania while at Kline & Specter. She has worked on a number of important cases in recent years. A partner at Kline & Specter, Dr. Dagostino was co-counsel with Shanin Specter in a May 2014 birth injury case which resulted in a $15 million settlement with a North Jersey hospital, a nurse and an obstetrician. Dagostino also teamed with Specter in a trial that resulted in a record-setting $7.8 million award by a Pittsburgh jury to the family of a boy who suffered cerebral palsy as a result of medical negligence immediately after childbirth. The Briggs case malpractice verdict, handed down in 2004, was the largest in Allegheny County history at the time. Dr. Dagostino has been selected for inclusion in Pennsylvania Super Lawyers — Rising Stars, an independent rating service that names the top 2.5 percent of attorneys in the state 40 or younger. Almost immediately after joining Kline & Specter as a law clerk while earning her J.D., Dr. Dagostino was thrust into the case of David Caruso, a young man who entered a hospital with a treatable malady but who suffered severe brain damage after a tube was placed improperly in his throat and slipped out of place, depriving him of oxygen for six minutes. The case, headed by Specter, resulted in a $49.6 million jury verdict, a record at the time for a Pennsylvania medical malpractice case. Dr. Dagostino has had a distinguished academic career, earning her bachelor’s degree in 1991 at Princeton University, where she majored in English Literature. She received her M.D. at the UMDNJ Robert Wood Johnson Medical School in 1995 and completed her residency training through the school’s Department of Obstetrics, Gynecology, and Reproductive Sciences. During her career as a doctor, she helped deliver some 1,500 babies, most of them at a care facility that was a referral center for high-risk pregnancies. 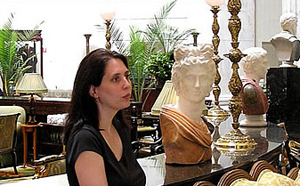 In May 2002, Dr. Dagostino earned her dual degrees in law and bioethics at the University of Pennsylvania. In 2010, while a practicing attorney, she graduated from the LL.M. Program in Trial Advocacy at Temple University Beasley School of Law. She was managing editor of the inaugural volume of The American Journal of Bioethics, a peer-reviewed publication produced by Penn's Center for Bioethics. Her research interests include critical care obstetrics, clinical ethics, and legal and ethical issues surrounding assisted reproduction. Dr. Dagostino continues to have interests in womens’ health issues as they pertain to health care law. Dr. Dagostino is a fellow of the American College of Legal Medicine. She is also a member of the Philadelphia Bar Association, the Pennsylvania Association for Justice, the Philadelphia Trial Lawyers Association and the American Association for Justice.